With over 95 boutiques providing fashion and luxuries for the home, Kildare Village offers the authentic previous seasons’ collections of a unique selection of Irish and international brands with savings of up to 60% on the recommended retail price, seven days a week and all year round. Closed Christmas Day (25 December). 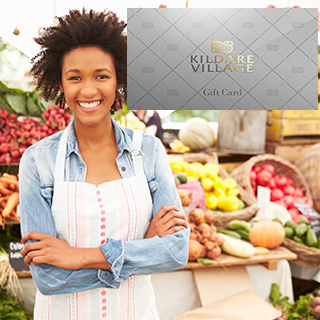 Kildare Village is a quick and convenient place to reach. The Village is located at exit 13 off the M7 less than an hour's drive from Dublin Airport and Dublin city centre on the motorway linking Dublin and Limerick. 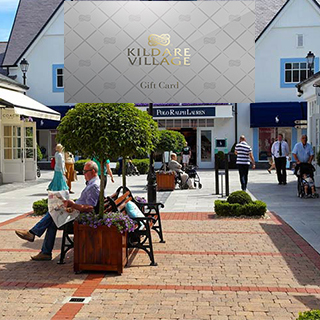 Park free of charge at Kildare Village in one of our 2000 parking spaces. Catch the half-hourly direct service from Dublin Heuston station for the 35-minute journey to Kildare town. Trains also operate from Cork, Limerick, Waterford and Portlaoise. 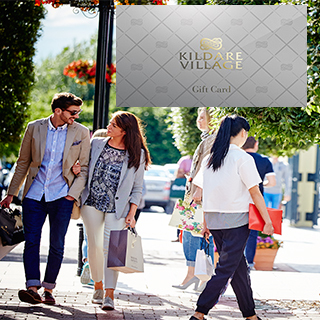 The complimentary Kildare Village shuttle bus will meet you at Kildare train station. To confirm times of shuttle bus please contact the Kildare Village Tourist Information Centre on +353 (0)45 520501. 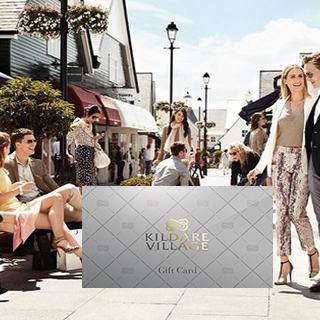 The Kildare Village Shopping Express® coach service is operated by JJ Kavanagh with more than 49 coaches to the Village each week from Dublin Airport, Dublin City Centre, Shannon Airport and Limerick City. Book your Shopping Express® tickets online up to 24 hours prior to the day of travel or directly from the bus driver on the coach. 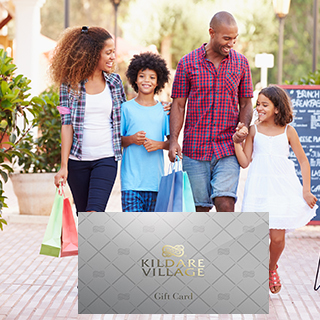 Gift Cards for Kildare Village are posted out free of charge. 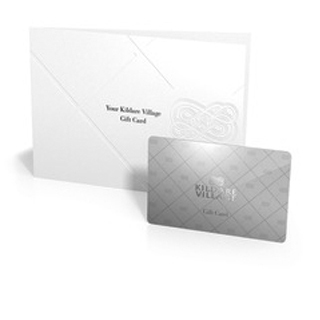 Please allow up to 7 working days for delivery of your Kildare Village gift card. 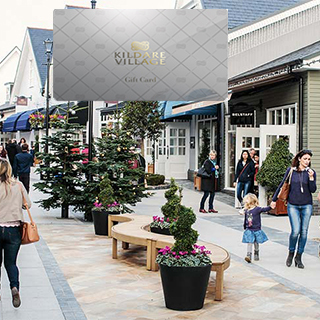 If you choose to collect your your Kildare Village Gift Card, you will need to get confirmation that the card is ready for collection before you go to collect. You will be asked for photo ID on collection.